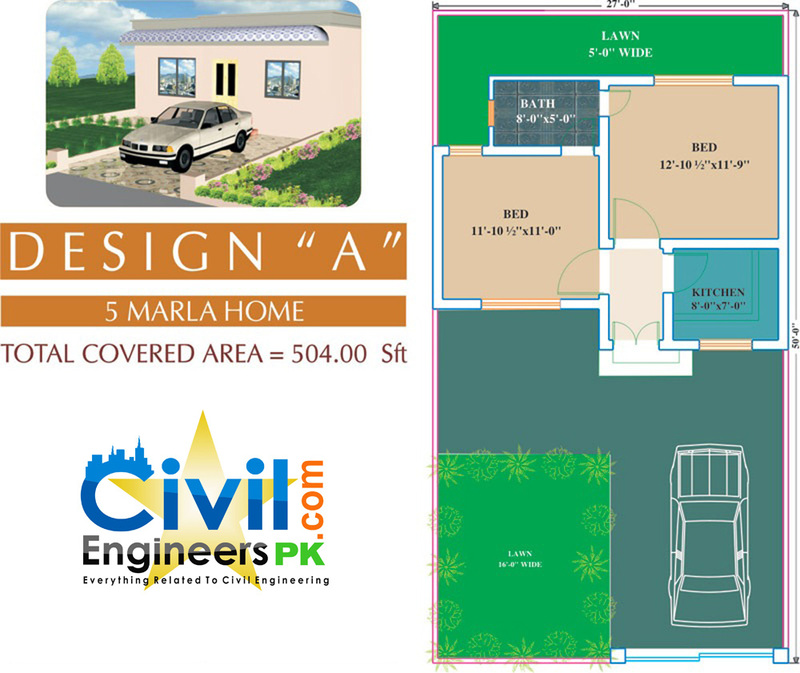 Following are some 6 Marla House Plans including first floor and second floor. These are for you to have an idea about the kind of plan you want to make or choose any plan like these for your own house or for someone else. 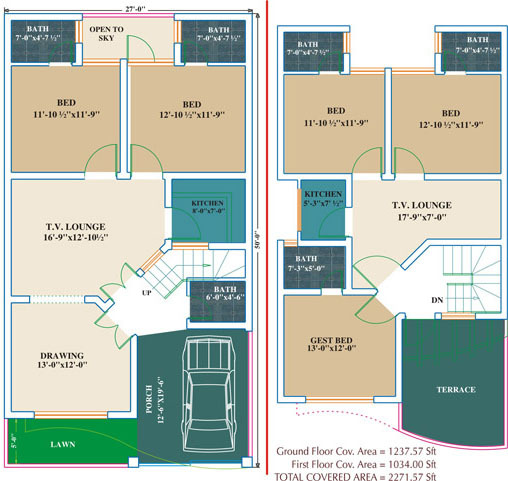 These 6 Marla House Plans help viewers to choose from a variety of different house plans in order to make a perfect house for themselves. We keep adding more plans with time. so keep visiting this website. 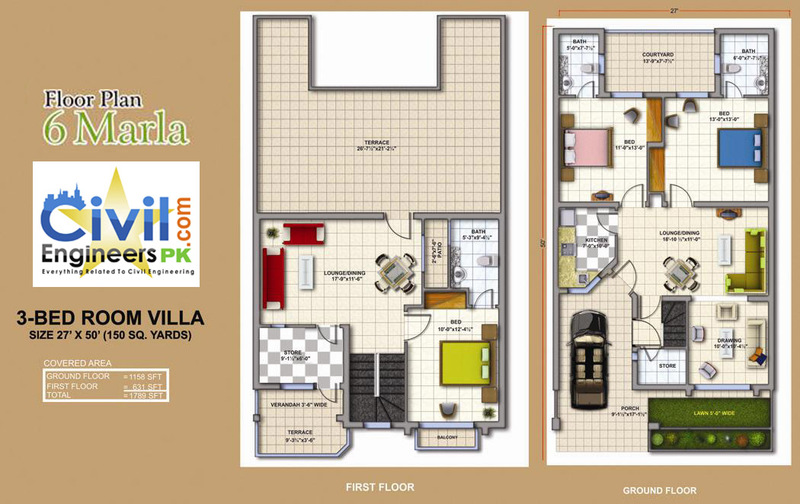 Dear how much charge for a 6 marla house map ground floor and 1st floor. 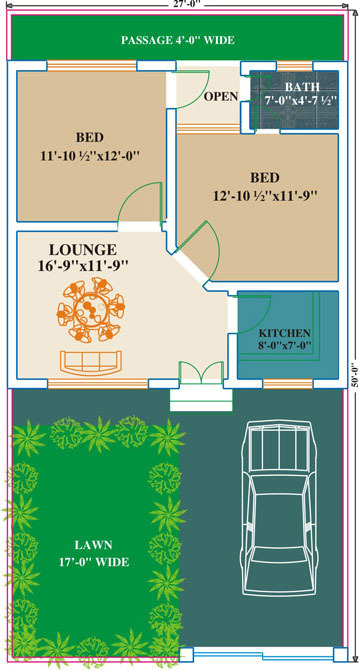 please suggest me house plan of 30×52.5 with basement. kindly reply on urgent please………. I want a plan for my home consisting of 6 marla. It’s front is 22.4 and length is 61.
my plot is 30×60. 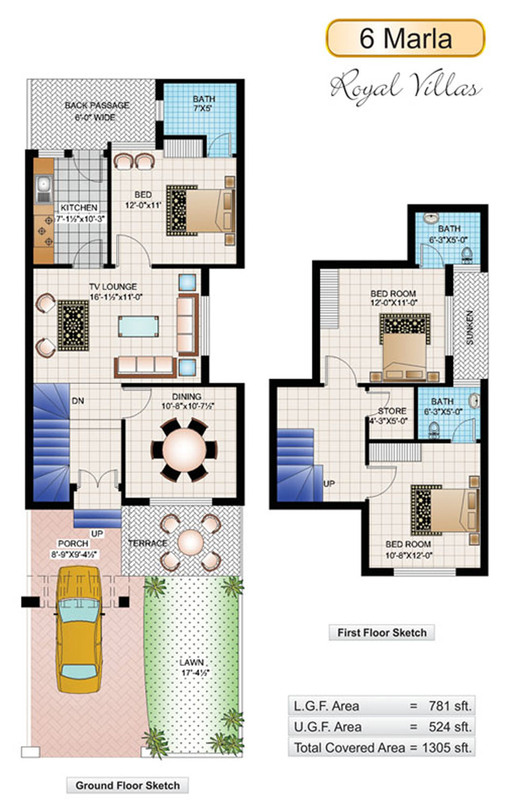 What is your free for designing a good house. 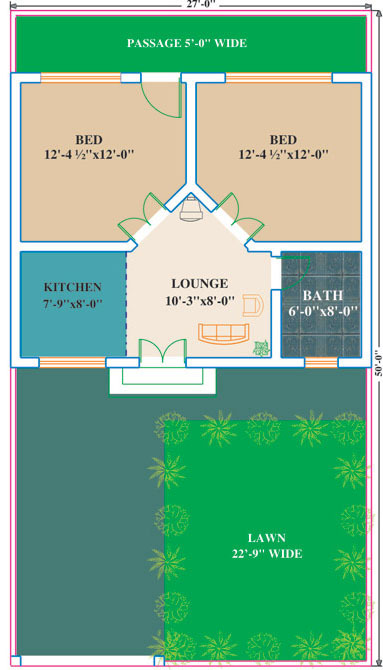 Sir my is front and back is 31 and is 44 wht is ur free designe good for house..
Free plans are already uploaded on our site. Custom plans will cost you. 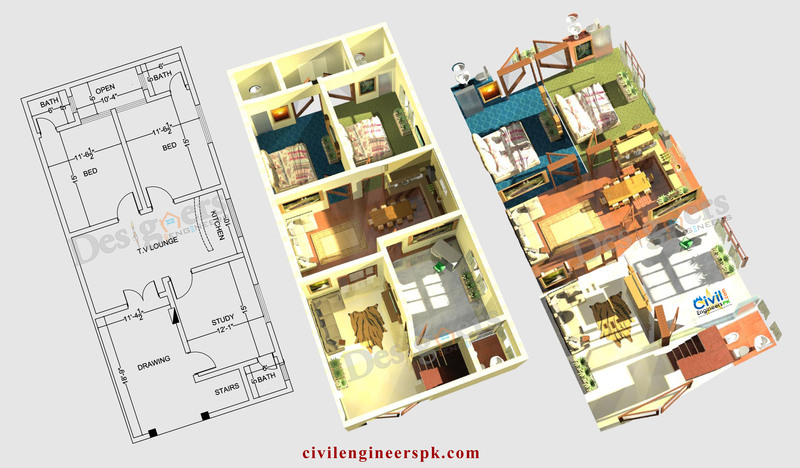 Mail at civilengineerspk@gmail.com for the rates. hi just want to ask in 5 marla house Plot size 25*58 what will be cost for 25*40 basement or is it not good to have basement pls advise Thanks. Do you want to know its design cost or cost of construction ? Its a personal likeness and dis-likeness towards basements. If you ask me, I will love to have a basement in my own house. Free plans are already there on site. Custom plans will cost you. Plz share your cell number, I need to have a sketch of 6 marla low coast houes. 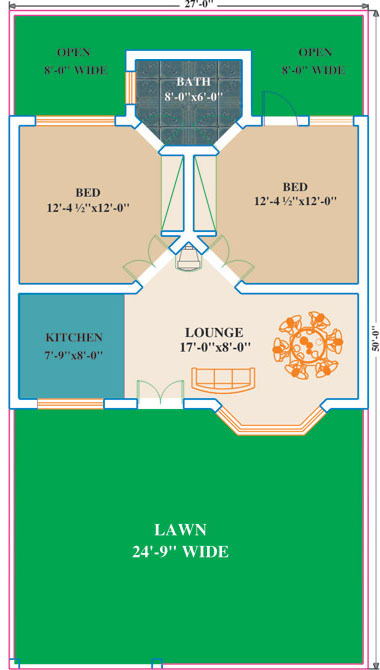 I have required a map for 6 marla house (3 bed rooms, drawing, kitchen, garage etc) (plot size 38*43).This specimen map will help to further contract sign with your good self. Because i have property development business. 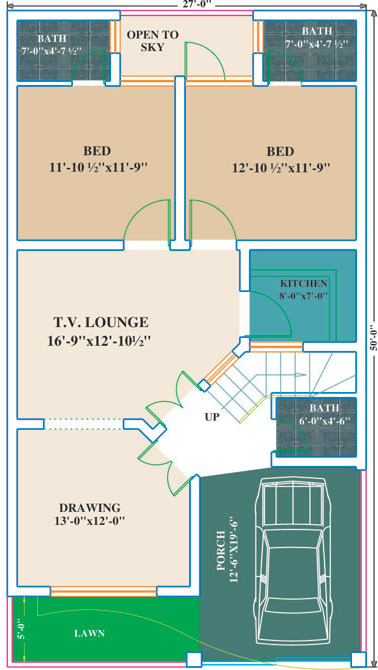 I have required a map for house (3 bed rooms, drawing, kitchen, etc) (proposed covered area size 46×46). Hi please send your cell #. I need to discuss about a bit change in your 6 marla plan G.
Dear Sir…App ka 6 marla vilas ka naqsha bohut acha hai. kindly is ka front elevation bhe share kar dein. I want to contruct my house on this design. 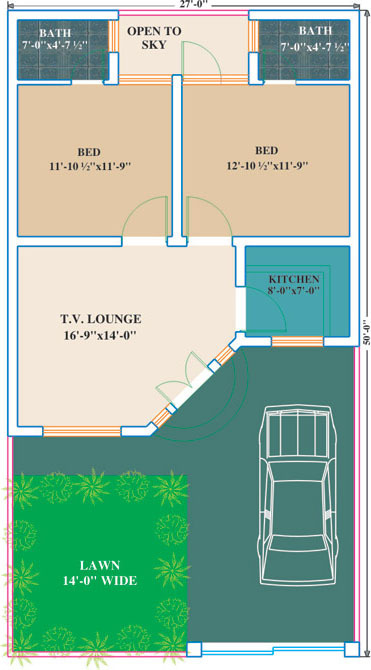 How much will cost for a map of double story house plan for a plot size 32*50 (1600 sq ft) 32ft south facing front, covered east and south sides by other houses but 23 ft open corner on west side.